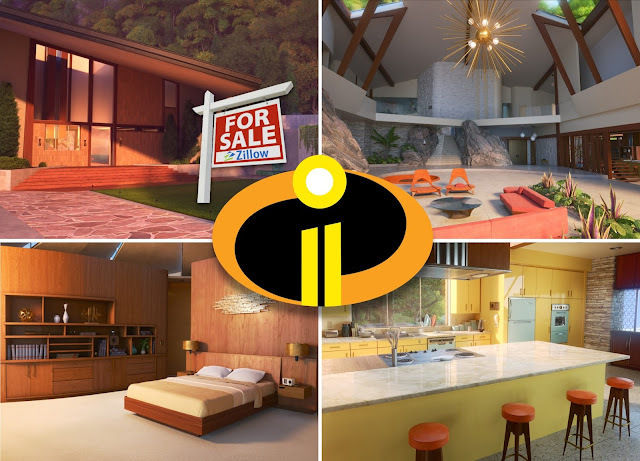 Zillow Reveals New Details and Photos of The Parr Family Home in Celebration of the Release of "Incredibles 2"
When we last left the Parr Family in The Incredibles, their home had been destroyed leaving them to find a new mid-century abode for the "incredible" family of supers. In celebration of the theatrical release of Incredibles 2, Zillow has partnered with Pixar Animation Studios to showcase a listing of the new Parr family home, complete with photos, features, and so many details to amp up excitement for the upcoming film. 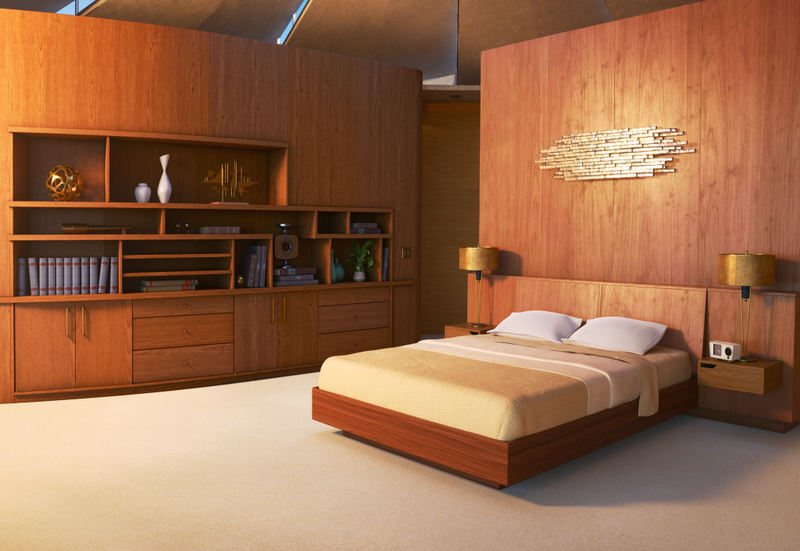 Our favorite room from the Parr Family listing would have to be the master bedroom with the wood-paneled walls, the brass textured wall art, the peeks of blue sky from the ceiling, and the lighting of the room — oh, the LIGHTING! 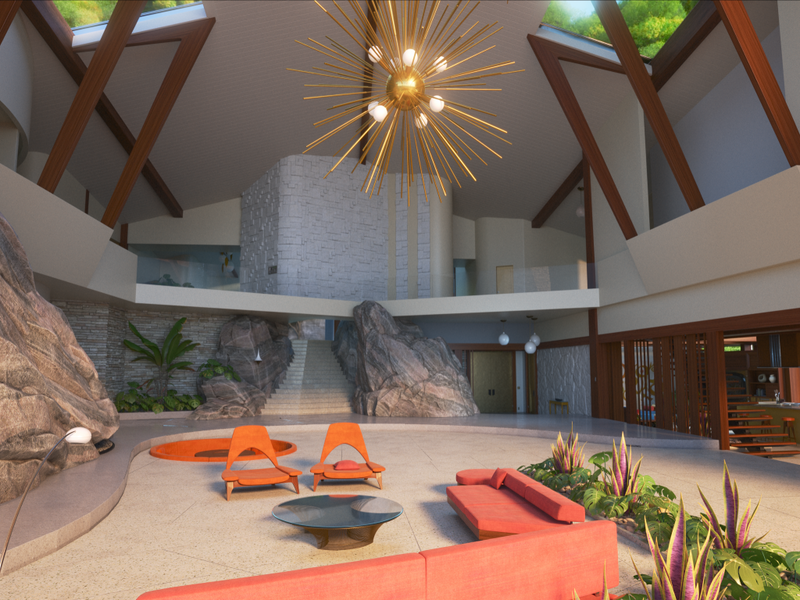 Take a peek at all of the amazing photos below and share your favorite room from the new house with us in the comments. All the bells and whistles of a secret lair, but with the space to raise an active family. 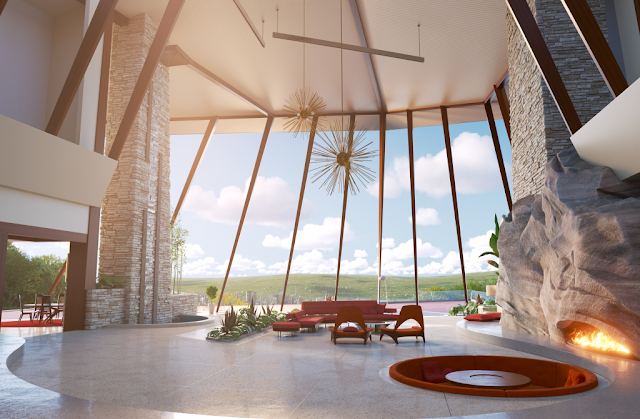 This mid-century mansion is just the place to hang your cape (should you be so daring with your attire). 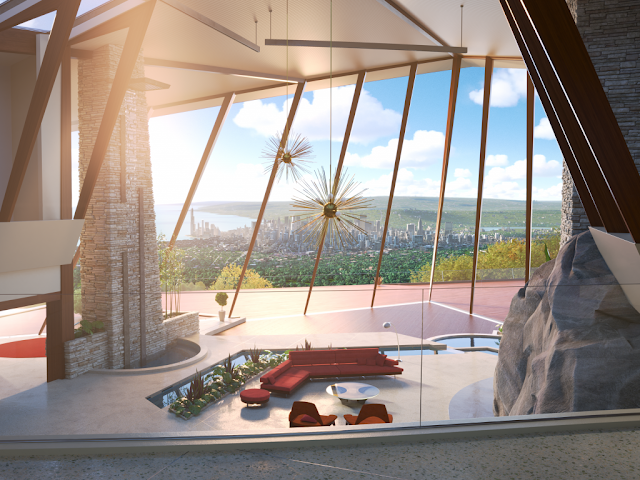 You’ll never tire of the view with floor-to-ceiling windows looking over Municiberg. 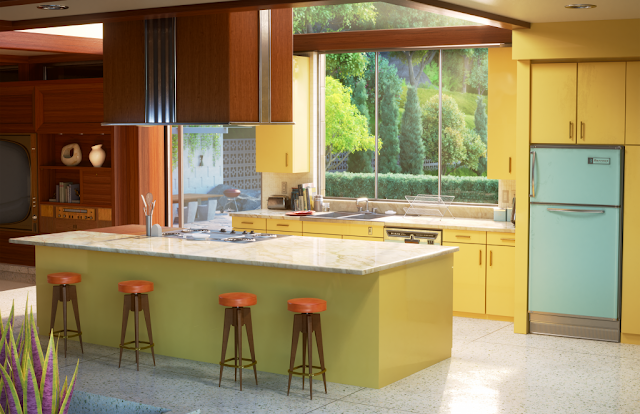 But what’s really impressive are the smart devices wired throughout the house to make daily chores a breeze, even for novice homemakers. However, it’s not all about housework. 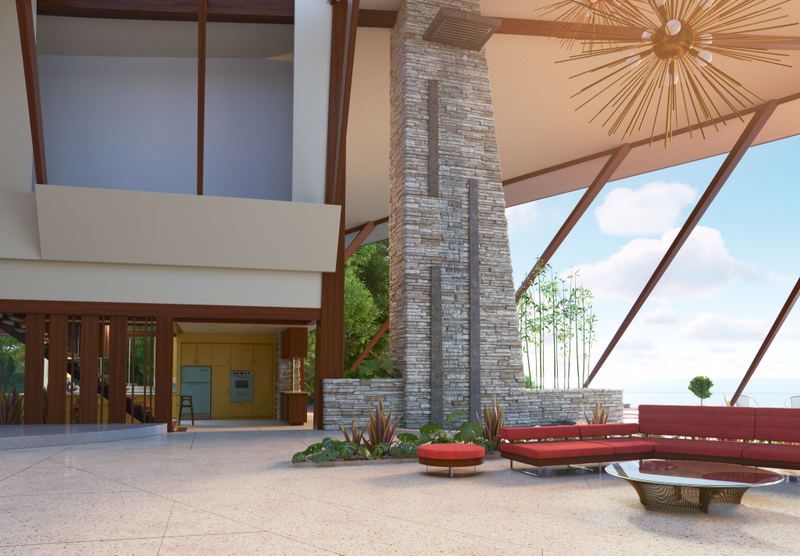 You’ll be the hero of hosting with remote-controlled features in the grand room, like a fireplace and movable flooring that reveal pools filled by waterfalls from above. Entertain in the conversation pit, perfect for reliving glory days. 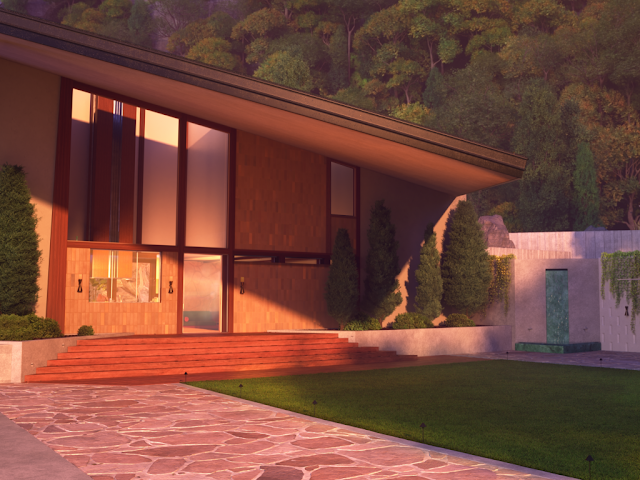 The huge yard allows kids to run around and disappear into a world of imagination. 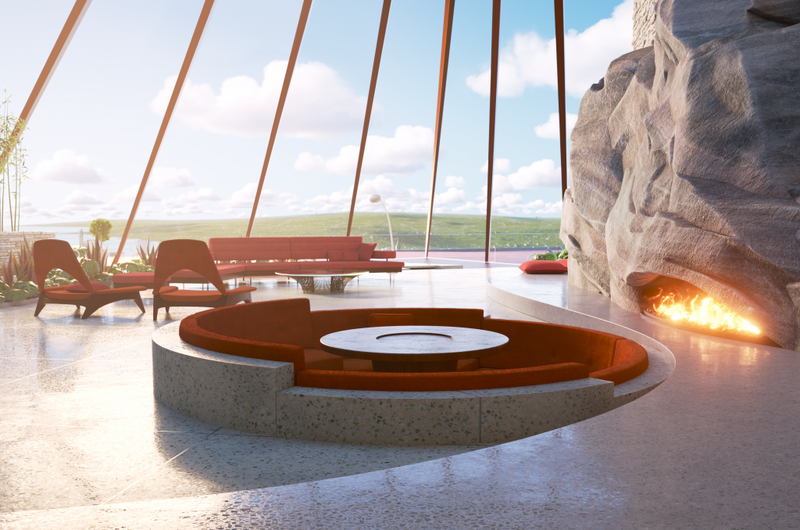 It even includes an infinity pool that serves as the ceiling for the den! For those who require a certain amount of anonymity, you’ll feel nearly invisible with multiple secret entrances, including a garage concealed by a waterfall. Perfect for protecting secret identities. This home is the complete package for a truly incredible family. 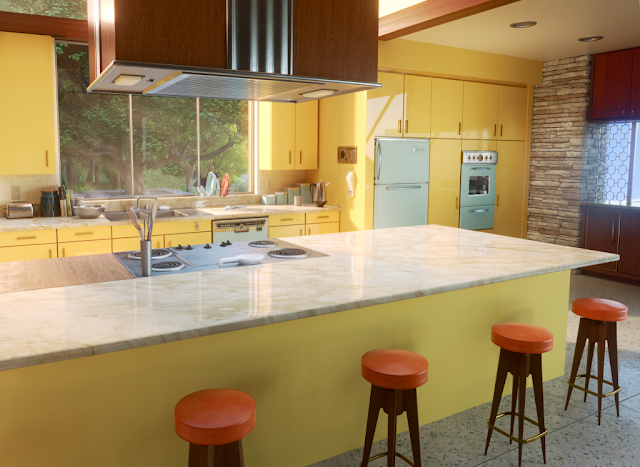 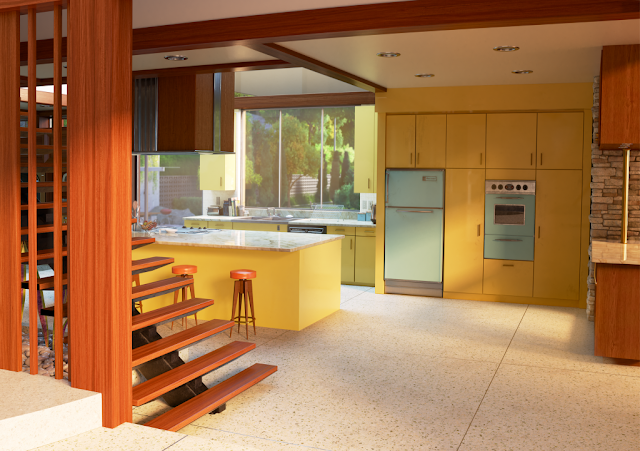 Pixar Post: Zillow Reveals New Details and Photos of The Parr Family Home in Celebration of the Release of "Incredibles 2"
Zillow and Pixar Animation Studios partner for a unique collaboration to view details of the Parr Family Home in Incredibles 2.